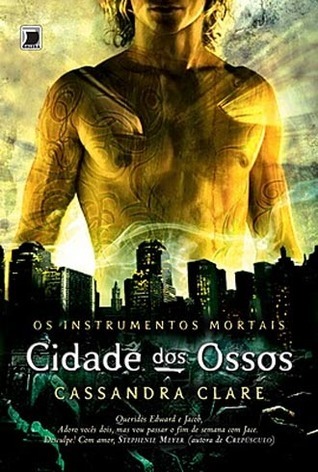 Cassandra Clare Rita Sussekind - Hello Goodreadsers. Here's my official bio:"Cassandra Clare was born overseas and spent her early years traveling around the world with her family and several trunks of fantasy books. Cassandra worked for several years as an entertainment journalist for the Hollywood Reporter before turning her attention to fiction. She is the author of City of Bones, the first book in the Mortal Instruments trilogy and a New York Times bestseller. Cassandra lives with her fiance and their two cats in Massachusetts. "You can find me online at cassandraclareI have a blog:cassandraclarevejournal/and a Facebook:facebook/Cassandraclareand a Twitter:twitter/cassieclareI'll be available here on Goodreads to answer questions for a Goodreads Author Discussion starting September 18 — goodreads/group/show/3Go sign up so you don't miss the conversation when it starts!